2.Rated heating&hot water condition: Air source side DB/WB is 20°C/15°C,initial hot water temp 15°C, ending hot water temp 55°C;AC side inlet water temp 40°C,outlet water temp 45°C. 3.Rated cooling&hot water working condition: initial hot water temp 15°C,ending hot water temp 55°C;AC side inlet water temp 12°C,outlet water temp 7°C. 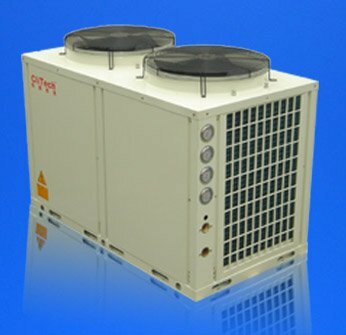 This CAM series Air to water heat pump Heating Cooling and Hot water unit can connect to indoor fan coil unit for house cooling in summer and house heating in winter; sanitary hot water produced all year around. Unbelievable price on EEV electronic expansion valve of clitech heat pump CAM for heating and cooling and water heater in Foshan (China) company Foshan CliTech Air-conditioning Equipment Co., Ltd.